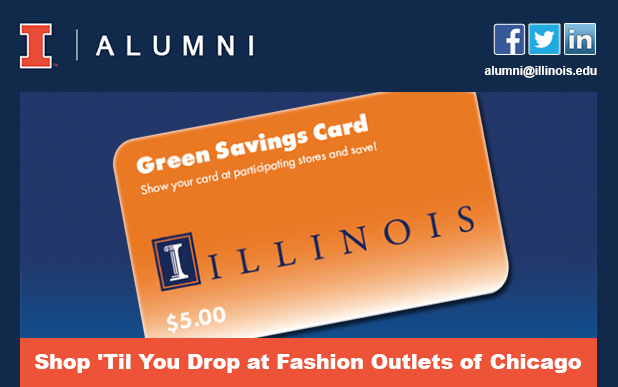 During the month of May, Fashion Outlets of Chicago is offering an exclusive promotion for University of Illinois alumni and students. To redeem this limited-time offer, visit Concierge Services and tell them the name of the famous bronze sculpture that opens her arms to passersby on the University of Illinois Urbana-Champaign campus. Questions? Visit Fashion Outlets of Chicago Concierge Services or text Concierge Services at 847-957-4600.